All out of rosemary and stuck looking for something to replace it with. We talk you through the best options to use as a rosemary substitute. Rosemary is one of the trickiest herbs to substitute for because it is available as both a dry ingredient and a fresh ingredient. Those aren’t often interchangeable. 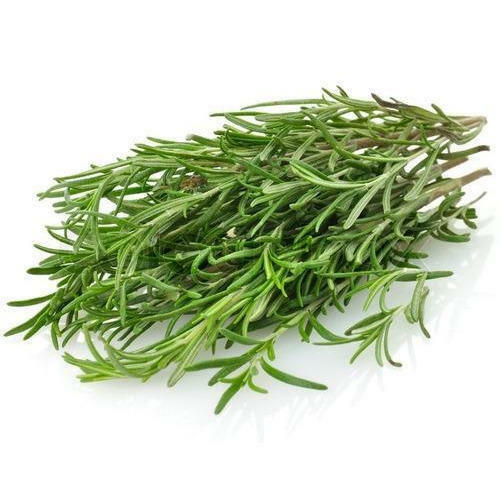 Rosemary also has a very distinct flavor that can be difficult to mimic or match with a substitute. With that in mind, there are several alternative ingredients that can get pretty close to or at least complement your dish in a similar way as Rosemary. In this particular case, yes, dried rosemary will make an excellent substitute for fresh rosemary and vice versa, and this will often be the most appropriate option. Dried rosemary will actually create flavor pretty well; if you have it, the only thing you need to keep in mind is how much to use. This might be slightly difficult depending on how specific your recipe is, but the usual equivalency is about ¼ teaspoon of dried rosemary for every teaspoon of fresh rosemary needed in the recipe. If your recipe doesn’t give a specific measurement, you might have to bust out your math skills or simply add the rosemary a dash at a time and taste along the way. Keep in mind that all herbs are different and substituting the dry for the fresh doesn’t always work. If you prefer fresh ingredients, oregano and basil are typically your only two real options for rosemary substitutes. While the flavor won’t be as accurate as the dried rosemary, both of these herbs are distinctly flavorful and will be an excellent substitute. These also won’t require any math, and you can simply add the oregano or basil in the same amount as the rosemary. Tarragon, thyme, and savory are the three most common rosemary substitutes that you will hear of in the cooking world. While all of these are available as herbs, their dried counterparts are typically sufficient as substitutes. Thyme is a flavorful herb that is capable of enhancing all kinds of dishes, and tarragon and savory both have pleasantly intense flavors that are comparable to rosemary. These are also nice because they are spice rack essentials, and you are more likely to have them already. The general consensus is that the aforementioned substitutes will work universally, but there are additional substitutes that, although mentioned less frequently, may also be more appropriate depending on the dish. For example, caraway seeds are often recommended when you are replacing rosemary, but caraway works well with others and pairs specifically well with sausage dishes or other dishes with a strong spice content. Other examples would be sage, which complements meat or egg dishes, and marjoram if you have a dish that is primarily mushroom-based. As always, you should pay attention to the other flavors involved in your dish, as you want to avoid adding a substitute that is going to clash with the other spices. For dishes that call for a handful of spices, add the other spices first, then add the rosemary substitutes gradually, tasting along the way. « Marjoram Substitute – What to Use?